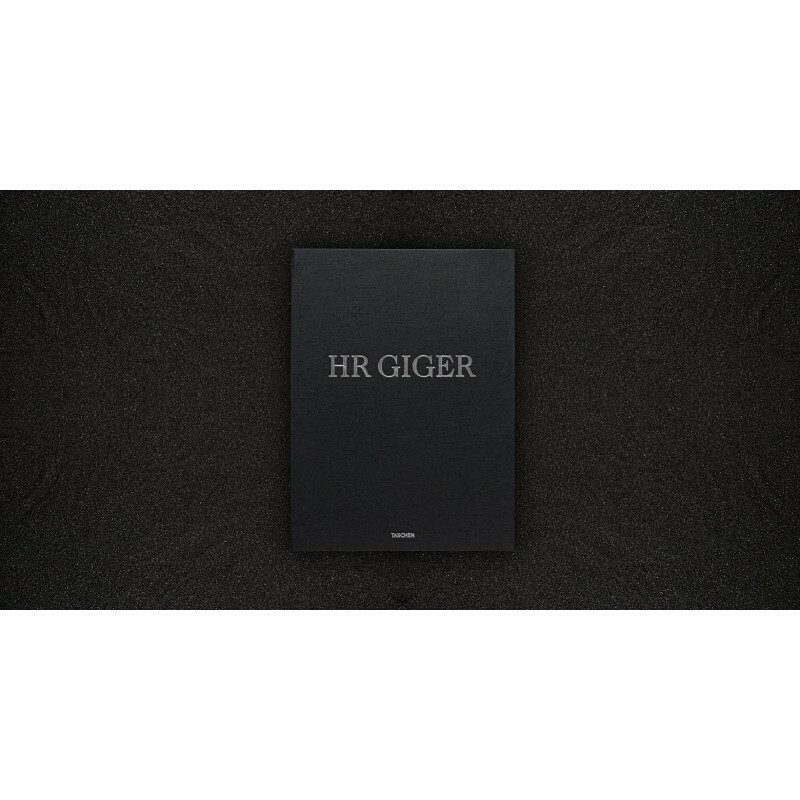 Swiss artist HR Giger (1940–2014) is most famous for his creation of the space monster in Ridley Scott’s 1979 horror sci-fi film Alien, which earned him an Oscar. 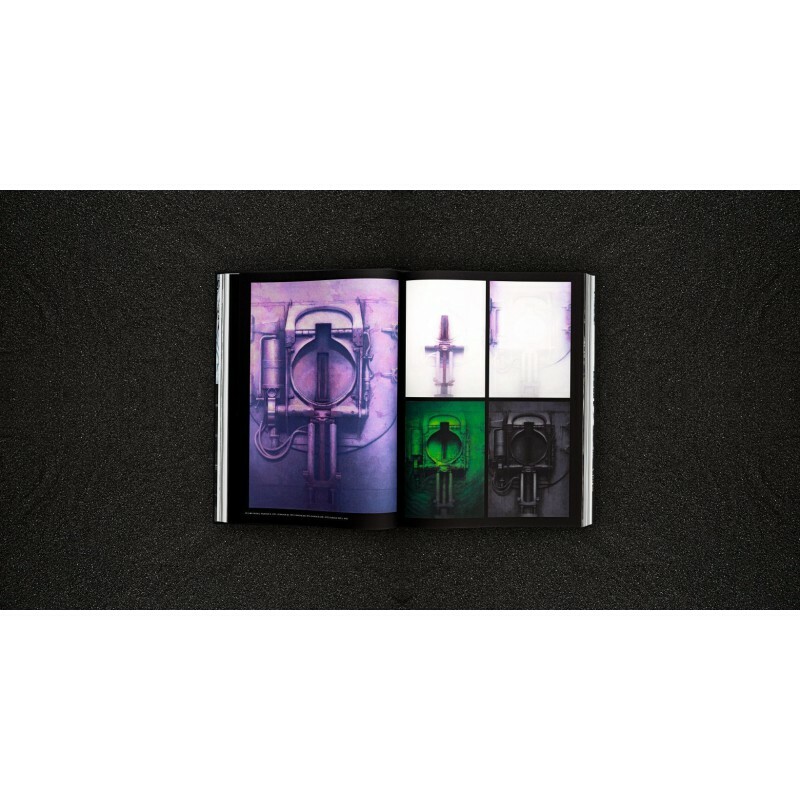 In retrospect, this was just one of the most popular expressions of Giger’s biomechanical arsenal of creatures, which consistently merged hybrids of human and machine into images of haunting power and dark psychedelia. The visions drew on demons of the past, as well as evoking mythologies for the future. Above all, they gave expression to the collective fears and fantasies of his age: fear of the atom, of pollution and wasted resources, and of a future in which our bodies depend on machines for survival. 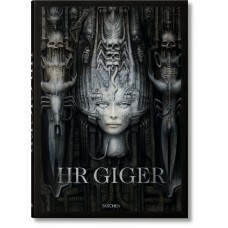 Begun shortly before the artist’s unexpected death, this SUMO-sized monograph pays homage to Giger’s unique vision. 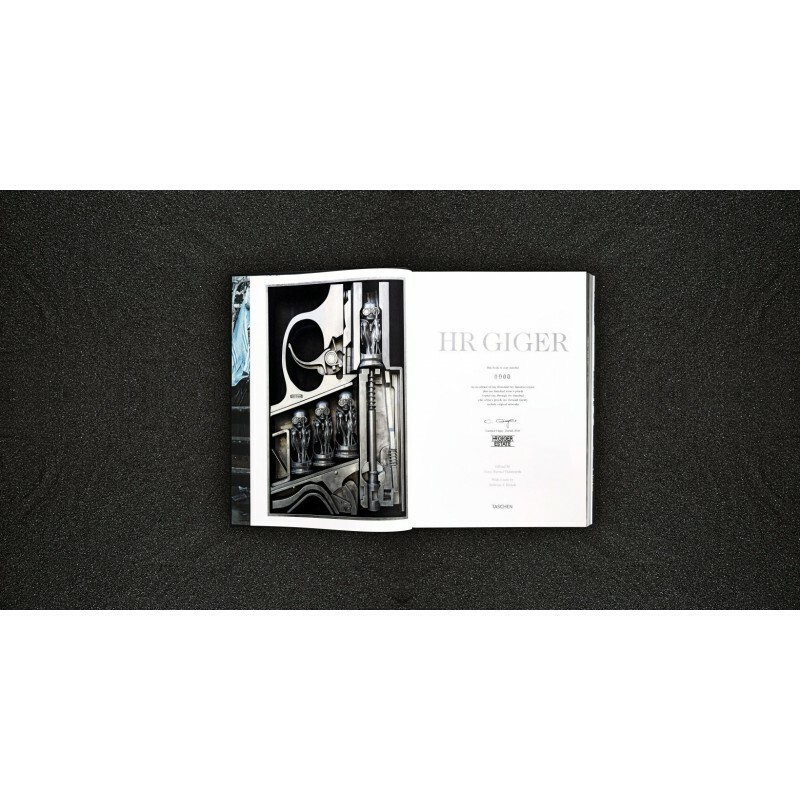 Featuring seven fold-out spreads, it shows the complete story of Giger’s life and art, his sculptures, film works, and iconic album covers as well as the heritage he has left us in his own artist’s museum and self-designed bar in the Swiss Alps. 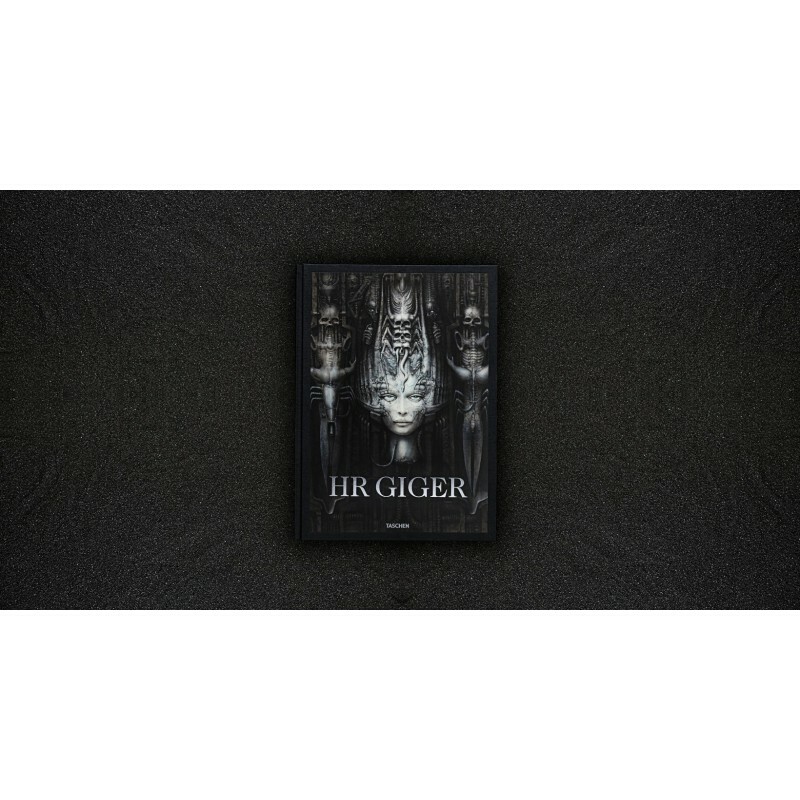 In an in-depth essay, Giger scholar Andreas J. Hirsch plunges into the themes of Giger’s oeuvre and world while an extensive artist biography draws on contemporary quotes and Giger’s own writings. 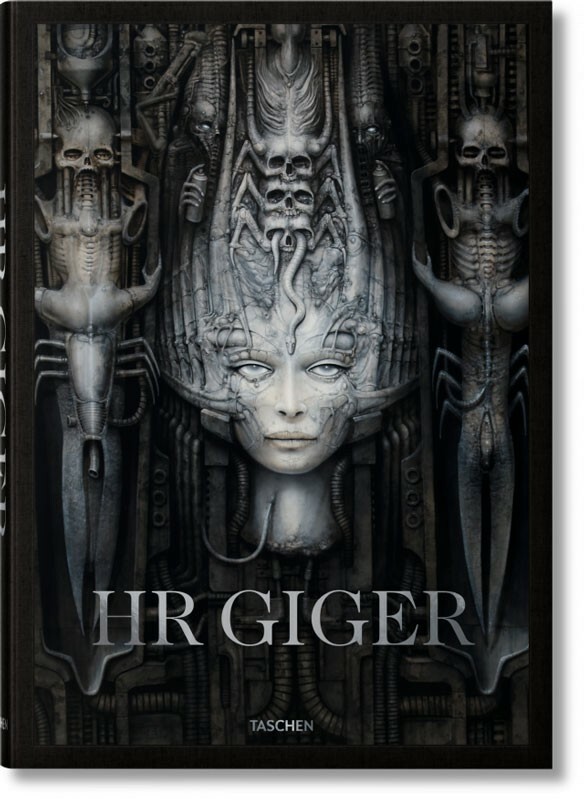 Limited Collector’s Edition of 1,000 numbered copies, each signed by Carmen Giger / HR Giger Estate.